Happy Anniversary/Christmas!! I’m one of those who loves their Lendrum too! The wheel is so easy to spin on that you may find yourself trying out those extras sooner than you expect. 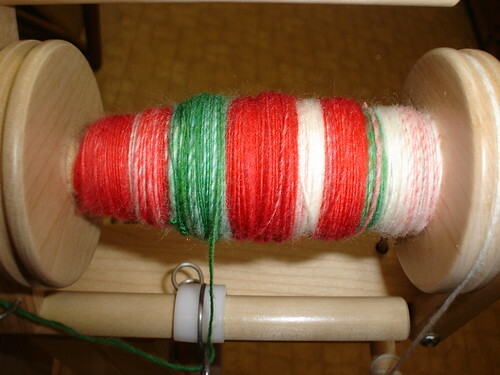 The fast flyer is great for fibers that need a high twist, even if you aren’t spinning really fine laceweight. 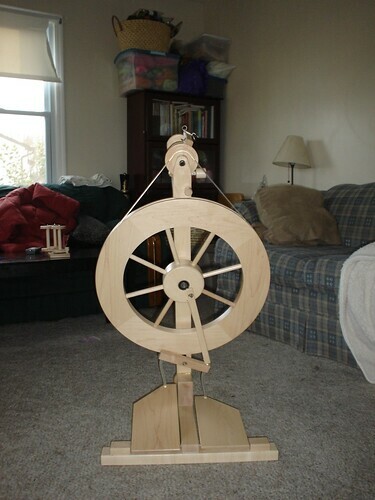 And the oversize bobbin for plying and nice slow whorl, very handy. First time you use it, just leave both drive bands on and I coil up the one I’m not using and just leave it hanging in the back.